It’s just about summertime, and you know what that means… it’s almost wedding season! Time to finalize those last minute wedding details. Having a little trouble deciding what to add to your list? Don’t worry, we have a list here to get you started! Here are 11 essential items that you and your spouse must have and are sure to love once you get your hands on them! From stainless steel and glass to sleek black and fun colors, stand mixers are available in so many different options. Many come with additional attachments for grinding food, making pasta, and so much more. The measurement marking on the side of some of the glass bowls is another huge benefit! The options are endless with stand mixers, so do your research, decide what’s most important to you, and get to registering! Laundry baskets are one of those things you never seem to have enough of. You can put them in bedrooms, bathrooms, laundry rooms, closets - wherever - and with the right laundry basket, doing laundry can seem like much less of a hassle. One type to consider adding to the registry is the stackable laundry basket, as the attached handles make sorting, carrying, and stacking much easier. Along with your primary set of bath towels, you’ll also want to register for some extras to have on hand. Be sure to pick these out and register for them in person so that you can find the best balance between softness and durability. While you want your towels to be soft and comfortable, don’t forget that you also want them to be super absorbent. As long as you’re getting the right pots and pans for your needs, you can never have too many! Some of the best pots and pans to consider adding to your wedding registry include frying pans, saucepans, saute pans, roasting pans, and casserole pans. Most of these are available in variety of options, so when choosing items for your registry, be sure to consider whether items have strong handles, are oven and dishwasher safe, are nonstick, are durable, and the like. Whether you prefer a down comforter or a patterned quilt, comfort, warmth, weight, and breathability are all crucial when choosing the right bedspread for you and your spouse. Don’t forget to include the matching or complementary bedding accessories, like flat sheets, top sheets, and pillowcases when registering! A wedding registry is the perfect excuse to get rid of all that old, beat-up plastic tupperware. Afterall, half of your pieces are missing their lids anyway, right? It’s time for a nice, durable set of glass tupperware that is sure to last must longer than that old plastic stuff! When choosing which set to add to your registry, be sure to look for qualities such as BPA-free, dishwasher safe, microwave safe, and whatever other qualities are most important to you. If you’re into making smoothies, milkshakes, and other yummy drinks, a blender is a must have! If you want to be able to make more, then step it up a notch and register for a food processor. Food processors chop, mix, slice, blend, and shred, and with a large enough feed tube, no cutting prep is even necessary! Food processors allow you to chop and grate vegetables and herbs, grate and slice cheese, finely grind bread crumbs, nuts, and oats, and so much more! The choice is yours, depending on your needs! Although many people typically think of the bride when they think about a wedding, grooms are important too! So grab that scanner and register away, gentlemen! Whether it’s a new drill set or an upgraded toolbox that you’ve been needing, it’s your turn to choose that special item (or two) that you want! 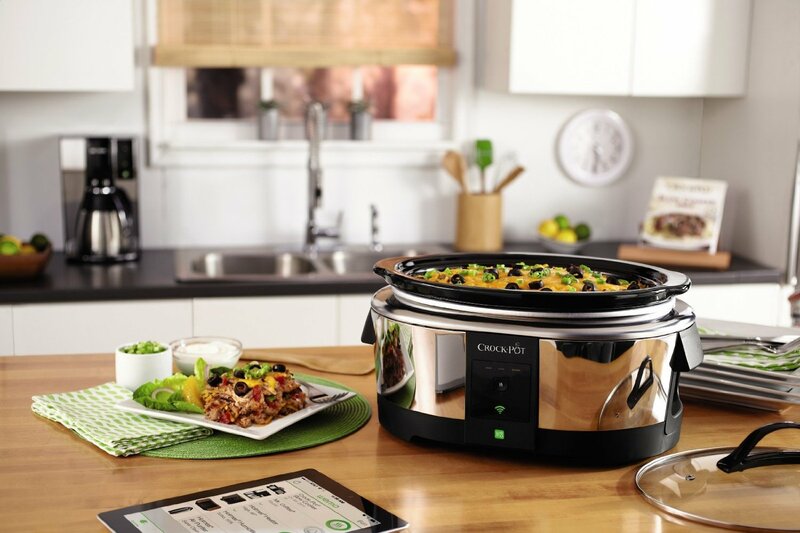 If you’re not a fan of spending all day in the kitchen, then you definitely need to add a slow cooker to your registry so that you can make delicious meals without all the manual work and time spent in the kitchen! Choose from different size options, timer options, heat options, lid-locking capabilities, and more. There are even some slow cookers out there that automatically switch to a warm setting when your food is done cooking! Not many people think of adding luxury vacation essentials to their registries, but why not?? It’s a genius idea if you ask us! Depending on where you’re taking off to for your honeymoon or where you plan on vacationing to during your marriage, consider registering for items such as beach towels, camping gear, luggage, and any other important items you think you may need along the way! Creating a wedding registry is the perfect opportunity to ditch your old-school, bottom-of-the-line coffee maker and upgrade to the one you’ve always dreamed of. 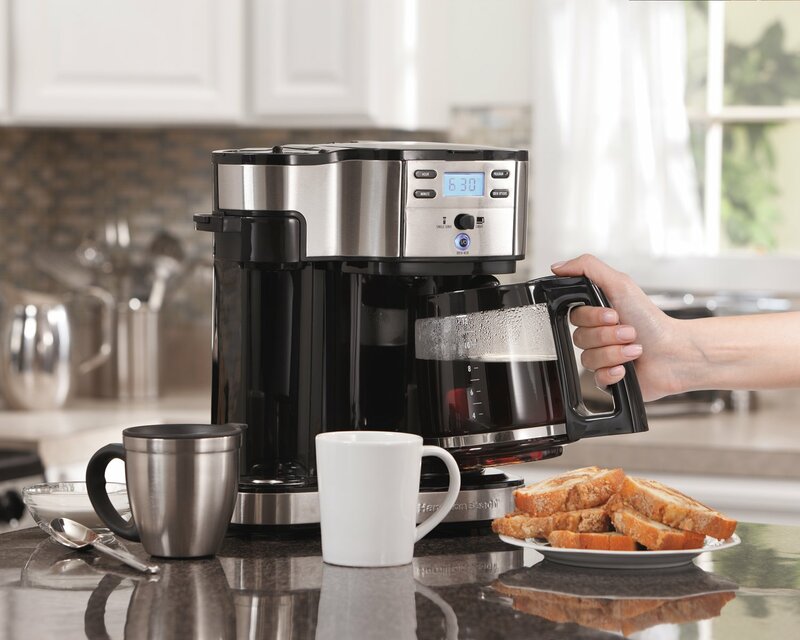 From stainless steel to automatic shut-off to single serve, there are tons of models and features to chose from, so you can be certain that you’ll find one to meet your needs. With all of the excitement, chaos, and stress surrounding wedding planning, hopefully you’ve saved setting up your registry for last, as this is certainly one of the most fun and easy parts of wedding planning! Good luck!